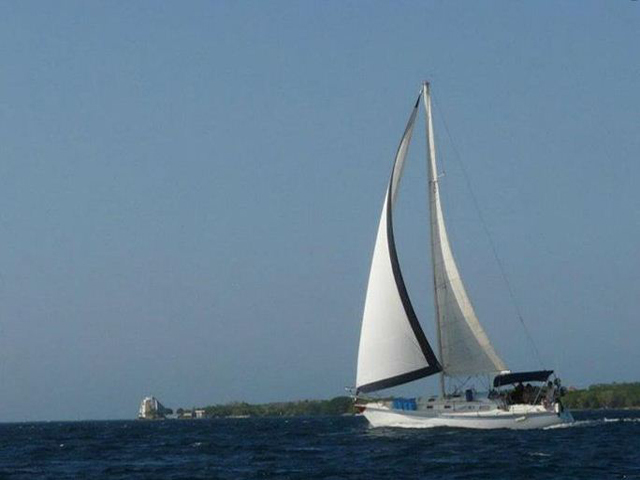 They start from Puerto Lindo, Panama have a stop in the San Blas islands for 2 days and continue from there in a 2 days sail to Cartagena,Columbia. There we will visit pristine white sandy beaches, hang out with the Kuna people, swim, snorkel, and have lots of fun. The boat has 2 private cabins, plus 3 other beds, bathroom, refrigerator, stereo and an experienced captain. All meals included. David – our rum downing, French chef, DJing, mast swinging captain arrived with our boat ‘Tango’ (A 15m yacht) First stop were the San Blas Islands. These were desolate – postcard perfect coral islands inhabited and run by the Kuna (you can’t even pick a coconut, without being charged a doller!!) So we spent 2 days fishing (Emma caught a 75cm tuna like fish!!) swimming, snorkeling, BBQing (lobsters/crabs and fish!!) really amazing!! Then we hit the seas heading for cartegena! Sailing was awesome – lots of speed but it was very rough!! our night watches were pretty exciting with either rough seas or dodging cargo ships to contend with! 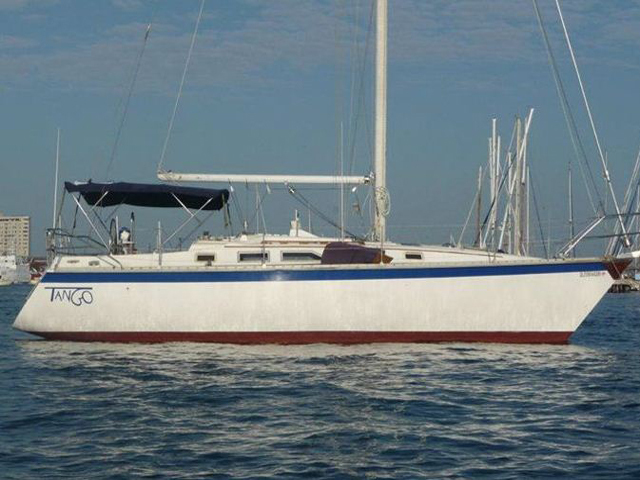 Finally after 5days at sea we arrived in Cartegena (Columbia)!